The Hunter Pistol is one of the starter weapons held in the left hand, and the Torch is a necessary item for hunt in the dark. 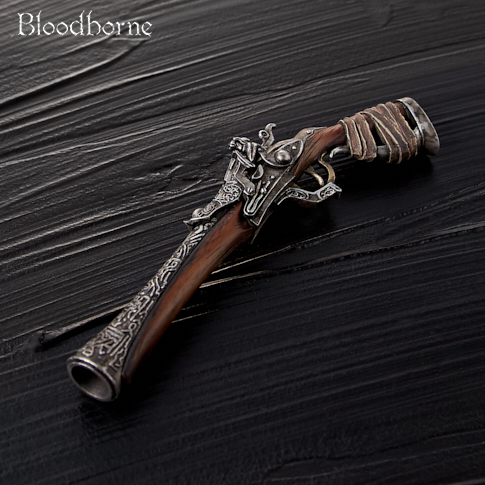 The sophisticated structure and precise carving on the small pistol body are must-see points. The flame effect can be attached to the torch to recreate the lighted condition. These items are thoroughly supervised by the design team of FromSoftware.